Click on the button above and let Simpler Roofing help you today! 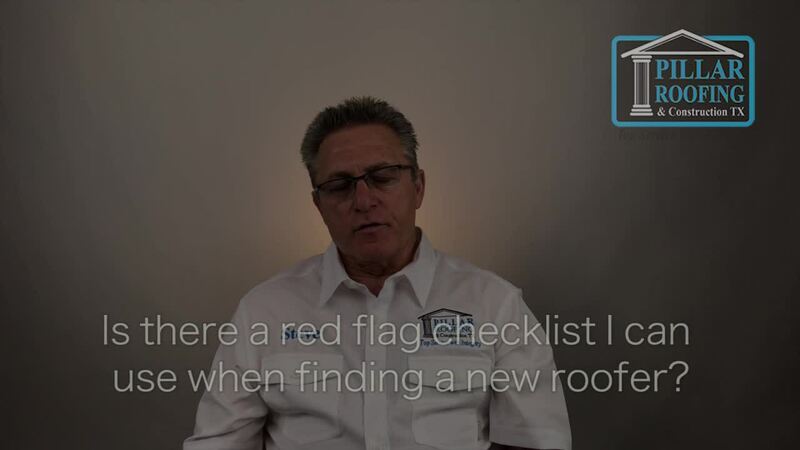 For the homeowners, there is a checklist on our website. You can also find these checklists probably through the BBB (Better Business Bureau) and some other channels out there. Talk to the trusted roofing contractors at Pillar Roofing today to learn more. The first thing you want to ask anybody that's marketing roof sales service to you is do they have a local office, do they have a certificate of insurance, how long have they been in business, do they have a website - things like this are going to tell you a lot about who's standing in front of you. You want to make sure that you're given a time to think about the information that they've given you. Never sign anything at the first meeting. Ask to speak to the company, call the phone numbers that you've been given, check out their website - do what you need to do in a thorough investigation through the BBB. See if they're affiliated with anybody - that's why I like RCAT (Roofing Contractors Association of Texas) and the North Texas Roofing Contractors Association. There's an actual website you can go to to make sure these people are established in the area.